With so many online casinos out there, and new ones popping up every day, it is more important than ever to make sure you choose to play at a casino that not only offers a great range of games, but also excellent players support and complete integrity. One such casino is LV BET. Based in Malta, this casino has been exceeding players’ expectations since 2015, and offers so much more than just a great selection of slots. LV BET was created with a clear vision by people who love gaming. From day one, the goal was always to provide players with an alternative to the same old big-name companies, who tend to take players for granted and treat them like sheep. Always of upmost importance was to build a brand that players could trust, and hence the decision was taken to base it in Malta – a respected jurisdiction with very high standards. Now, several years after launching, LV has matured into a complete gaming and gambling destination, offering slots, a live casino, and a sportsbook. One of the most obvious attractions of LV BET is their impressive choice of slot games, including titles from some of the world’s most prestigious gaming studios, alongside an interesting range from smaller studios and a good selection of classics. 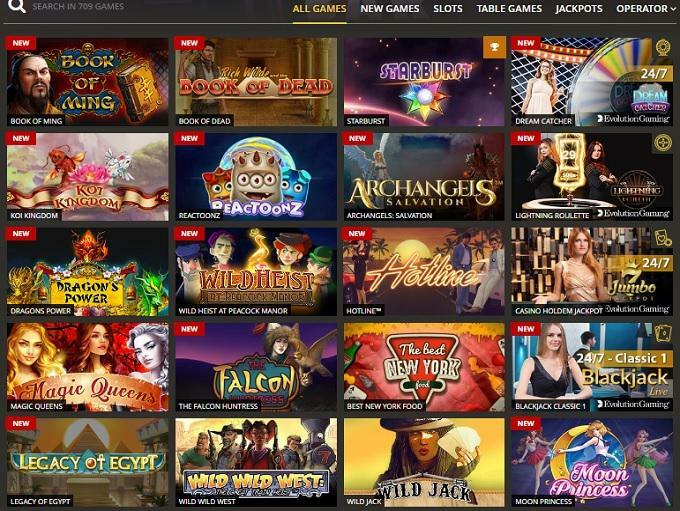 Players can browse slots from Bally Wulff, BF Games, Gamomat, Greentube (Novomatic), Merkur, Microgaming (Quickfire), NetEnt, Play’N Go, Thunderkick, UC8, and Wazdan. LV BET is a HTML 5 site, entirely browser based, and optimised to work smoothly on mobile devices – so it can be enjoyed on desktops, laptops, tablets, and smartphones. The entire site utilises the latest financial industry grade SSL encryption technology to keep player data completely safe, and all games offered are the legitimate, licensed and tested product. Contemporary feature-rich big-name releases like Jumanji, House of Doom, Hotline, and Archangels: Salvation. Online versions of classic land-based slots like Book of Ra Deluxe, Lucky Lady’s Charm Deluxe, and Sizzling Hot Deluxe. Hard-to-find games from start-up studios like Book of Ming, Star Fortune, and Stunning Hot. To add to the real authentic casino atmosphere, LV BET has an incredible live casino section, with over 50 thrilling live dealer blackjack, roulette, baccarat, and poker tables from Evolution Gaming – widely regarded as the leading live casino operator. LV’s own version of the Wheel of Fortune – energy bars are powered up when playing for real money (the more you wager, the quicker they fill), and each time you level up you get to spin the wheel. Prizes include real money, bonuses, LV Points, LV Spins, and reload bonuses. Collect these by winning them on the LV Wheel, or by wagering real money on the sportsbook. They can then be exchanged for real money with the click of a button. Players opening their first account with LV BET can enjoy a spectacular Welcome Bonus, consisting of four parts, and worth up to a maximum of €1,000 and 1,000 LV Spins. Most days there is at least one exciting tournament running at LV BET, giving players the chance to win even more prizes and spins. Check the dedicated ‘Tournaments’ page to see the schedule. Check out the ‘Promotions’ page for a range of treats, like Game of the Week with a 25% Reload Bonus, Spin Booster, Bonus Backup, and more. LV BET has a reputation for offering fast withdrawals, with ewallets taking just a few hours. Unlike some online casinos, LV BET allows players to withdraw up to €5,000 daily. Available via livechat, phone, and email, 7 days per week. Full sportsbook offering pre-game and live in-play betting on sports, e-sports, and virtual sports. LV BET accepts players from most countries, but because LV BET take compliance, security, and integrity very seriously there are some geographical restrictions on players. LV BET cannot accept players from several countries including Australia, Brazil, China, Czech Republic, Denmark, France, Hungary, Ireland, Israel, Italy, Latvia, Poland, Portugal, Romania, Slovakia, Spain, Switzerland, Turkey, UAE, USA, and several others. When everything is considered, LV BET is offering a product range, bonuses, and support that eclipses many of their much larger rivals. But, because LV BET is still relatively young and dynamic, they can provide much more responsive service and offer a more vibrant schedule of events. LV basically mixes the best of both worlds – the choice of a huge casino and sportsbook, with the trust and friendliness of a smaller local establishment. Even if you only sign-up for the bonus, it is highly recommended that you try it out for yourself.